What is Rabo OmniKassa 2.0? Always in control and able to manage your products yourself: that is Rabo OmniKassa. You receive all payments within 1 day on your business account, 365 days per year. You can check and manage everything yourself in the dashboard. That gives peace, space and time to be able to continue working on your business. • All your pin solutions and the most frequently used online payment methods are arranged in one go. • Keep insight, stay in control and manage your products and payments. • Choose and pay only your desired payment solution. • Your gross turnover credited to your business account the next calendar day. How does Rabo OmniKassa work? 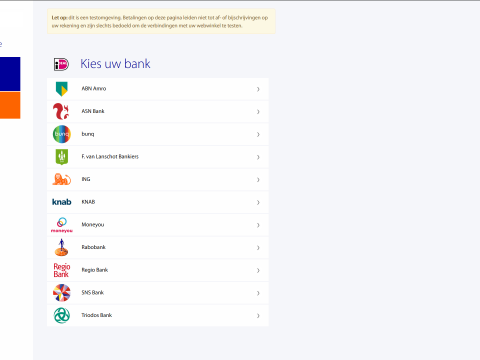 With Rabo OmniKassa you have both debit card payments and online payments together in one overview. Useful to keep track of your various commercial units, your physical store(s) or your webshops. If you want to expand, you can easily add additional products through the dashboard. For instance when you use Rabo SmartPin on location, but also want to sell your articles in a webshop. This way you can work in a future-oriented manner. Rabobank offers low rates for your pin solutions and payment methods. For your first three web shops you only pay € 10 per month. On the website you will find all Rabo OmniKassa rates. With the Lightspeed app, linking is very easy. 1. 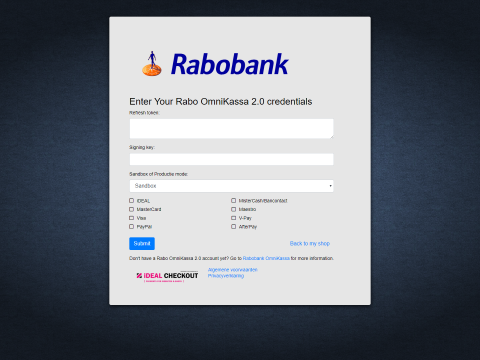 A Rabo OmniKassa agreement, which you simply request online. 3. Run through the Wizard in the Rabo OmniKassa Dashboard. Did you switch from the old Rabo OmniKassa to Rabo OmniKassa 2.0? If you switched to Rabo OmniKassa 2.0 from the old Rabo OmniKassa, you must first remove your old Rabo OmniKassa before using Rabo OmniKassa 2.0 in the Lightspeed app. This prevents you from seeing both the old and the new Rabo OmniKassa in your checkout in the online Lightspeed environment. Go to 'Settings> Payment Providers> Omnikassa 1.0' in your Lightspeed environment to set this up. Note: your Rabo OmniKassa 1.0 contract has not been terminated yet. You can arrange this at Rabobank. On our support pages you will receive an explanation of the most common processes and you can see the most frequently asked questions. Do you have a question about how to do certain processes step by step? Please look at the handy step-by-step guides on the support pages. For questions that specifically concern your webshops, go to the OnlineKassa support page. Would you like more detailed information about Rabo OmniKassa? See our extensive Rabo OmniKassa 2.0 manual (also available in Dutch). Your Order ID in the payment request? - Alphanumeric (strict) (so only numbers and (capital) letters, no punctuation). Do you still need help? The Support Team Rabo OmniKassa is always ready to answer your questions. They can be reached on telephone number: 030 - 213 13 11. They can be reached on weekdays from 8 am to 9 pm on Saturday from 9 am to 5 pm.